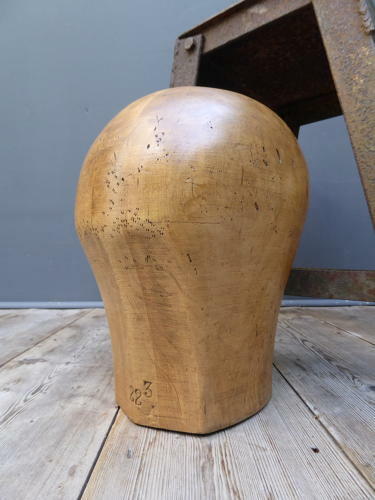 An original antique milliners head / form. A hansome piece of fantastic form, beautifully simple & in a turned hardwood. The years of use as a hat/wig makers 'assistant' have left the piece with a great patina, a good depth of colour & a wonderful overall look about it. Mid 20th century, likely 1940's. Wear commensurate with age, very good, solid condition.